Your homes and businesses smoke alarms/smoke detectors are an essential early warning of fire and smoke. Vital to your continued safety and protection against fire, your smoke detector is not only a mandatory regulation, but it might just save your life. 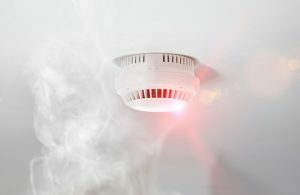 Sparkies Electrical Contracting Services can expertly install smoke detectors in your Gold Coast home or property, ensuring all current regulations and safety necessities have been met. Our certified electricians can also provide continued maintenance and testing to your smoke detectors in order to guarantee that they continue to function in optimal condition.